When you’re working or playing at night, having a bright light to illuminate your activities is a must and there is nothing more convenient than the Rampage Three-Mode Water-Resistant Headlamp! It features three super bright CREE T6 bulbs, which operate in three different modes: middle light, two side lights and all lights. A heavy-duty, adjustable elastic head strap gives you a secure and comfortable fit and the lamp housings are water-resistant. 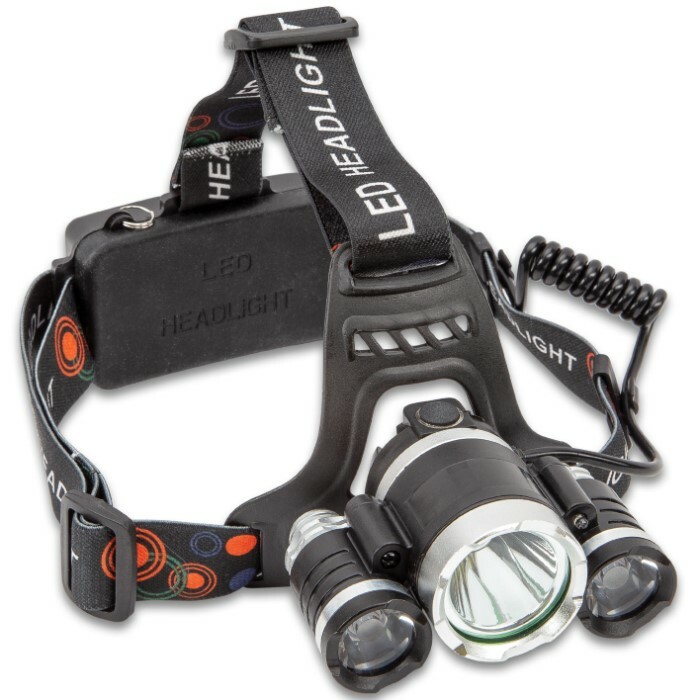 The headlamp uses two rechargeable lithium batteries (included), which can be charged using the included USB cord. Handsfree, bright light to keep you out of the dark, what more can you ask for? 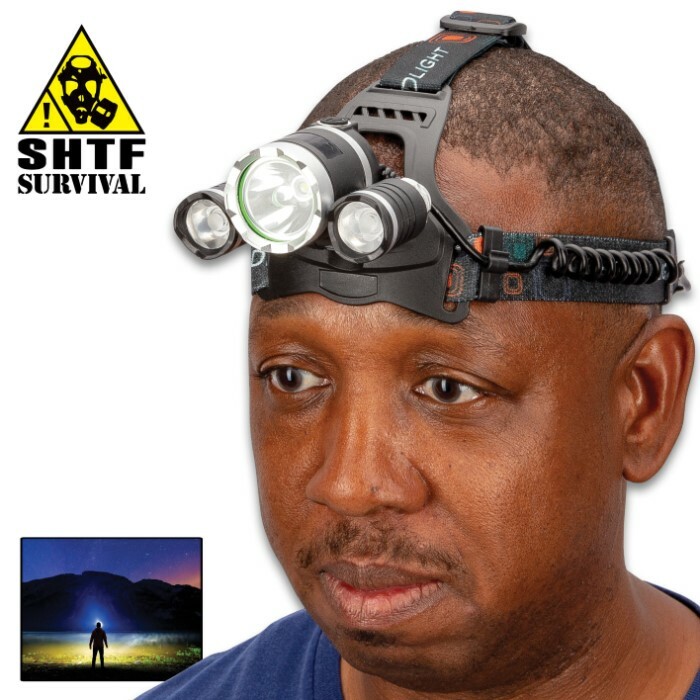 We got this headlamp in our SHTF box. Liked it so much, we bought a SECOND one. I use mine daily when I go out to feed livestock at 4 AM--there is NO electricity out where the animals and poultry are, (and it is DARK out there) so the headlamp is the ONLY light I have; but even on the lowest setting, I have plenty of light to see by. I also like that I don't have to replace batteries every week...I just use the included USB charger, and it's good to go! HIGHLY recommend this headlamp!